The Souers team has extensive experience and has collected numerous awards for our excellence in service. We are proud of our top sales production, innovative marketing, and trained negotiating skills. 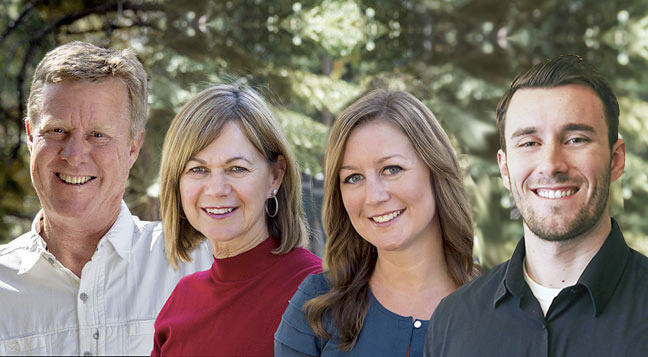 We are especially proud to be affiliated with the Pinnacle Real Estate Group of Lake Tahoe, which includes real estate agents among the top producers throughout the area, . . .
"We live in the Bay Area and were looking for a vacation home in South Lake Tahoe. We found Don & Theresa to be very professional and knowledgeable. Don took us on a tour of the various neighborhoods and was quickly able to determine what we were looking for.Don & Theresa did not waste our time on properties that did not meet our criteria. They always assured us more properties will come on the market and to wait for the right one. Theresa... continued"
"I bought my vacation home in South Lake Tahoe and wouldn’t use anyone else but Theresa Souers as a real estate agent. I found my home through their excellent website which alerted me to new home listings every day. Theresa never pressured me to buy and was patient until I found the exact kind of home I was looking for. Even after the purchase both she and her husband (Don) have continued to help me with things that would otherwise require me to... continued"